Up until a month ago, two huge movies were vying for the same release date. For a while there it was Superman v Batman versus Captain America 3. Both Warner Bros and Marvel were adamant that May 6th 2016 was the ideal weekend to launch two very expensive flagship movies. 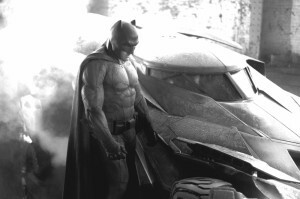 In the end, Warner Bros blinked. Dawn of Justice (younger sister of Buffy of Justice) will now be released in March 2016. Do you reckon this guy ever blinks? Another project, almost as highly anticipated as Batman v Superman, has also had to move it’s release date. Eagle-eyed readers (both of you) will have noticed that Summer 2014 has now sort of come to an end, and there’s no sign of Fantasy For Good. Well, for various reasons, all of them less interesting than a head-to-head fight between Batman and Captain America (who would win?) it’s had to move out. Specifically to December 9th 2014. Of course, Summer 2014 was also in time for Christmas, with no “just” necessary. But never mind. The good news is, the manuscript is complete, it’s been formatted and proofread by Nightscape Press, and we’ll be sending galleys to our lovely contributors in the next couple of weeks. We’ll also be submitting the book to Publisher’s Weekly, who have a three month turnaround on reviews. They may not review it, they may review it and hate it, but whatever the outcome, we’re going to give them three months to do it. Hence the December release date. So we have good reason to push out the release to the end of the year. This will also allow us to line up additional reviews and promotional items to create as much buzz as we can before launch day. Incidentally, pre-orders for this charity anthology (UPDATE!) are NOW AVAILABLE. toddle along to Amazon and place your order for the Kindle version today! We already have a Goodreads listing, so please pop along and add it to your want-to-read list. It’s a pretty cool collection of 30 terrific stories, and I think you’ll like it. And as if launching Fantasy For Good in December wasn’t enough, in what I call a Reverse-Warner (if you will), my very own super hero will do battle with the mighty charity anthology on the very same date! Yes, The Patchwork House is almost ready to set sail, and it too will go live on December 9th 2014! What a staggering co-incidence. It’s almost as if I submitted both manuscripts to the publisher around the same time, and they’re both being sent to Publisher’s Weekly for review! Imagine that! So yes, December will be a very busy time for me. But things are already busy! I’m working on some secret projects, which is cool and very very secret. It’s nice to have something secret to work on. Makes me feel like my writing career is going somewhere. It probably isn’t but it’s nice to con myself into thinking that way. One project I’m involved in that is NOT a secret is Urban Fantasy Magazine. My co-editor on Fantasy For Good, Jordan Ellinger, started up this venture with Emily C. Skaftun, and invited me to come on board as slush editor. Unlike with the slush pile for Fantasy For Good, this time we have a small army of editorial assistants to read through the already swelling inbox, so I actually stand a chance of keeping up with the demand this time. Writers who submit stories can expect good response times and useful feedback. We pay for stories too! I know! Take a look at the submission guidelines if you’re interested in sending us something. Our readers provide thoughtful and useful feedback on all stories submitted, so even if you don’t get into the zine, you can still have some highly discerning urban fantasy fans let you know what they think of your work. Urban Fantasy Magazine has a Facebook page and a website, and is launching in November this year. OK back to work! Or sleep, whichever comes first. Who am I again? 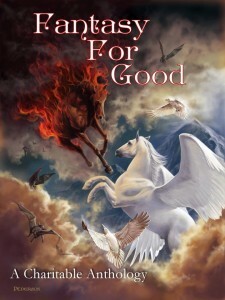 Great news about the Fantasy for Good anthology. I’ve been looking forward to reading that as well as The Patchwork House. Sounds like you’re very busy, but in a great way. Keep it up! Also, congrats on the new gig at Urban Fantasy Magazine. A genuine comment that isn’t spam! I should have it stuffed.